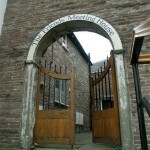 Ross on Wye | Southern Marches Area Quaker Meeting. 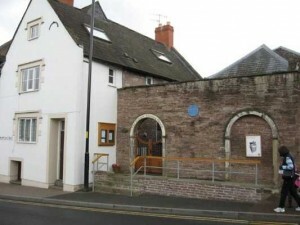 Ross Friends Meeting House is at the foot of Brampton Street, Ross on Wye. 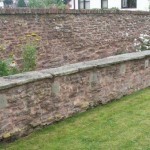 Our Meeting started around the year 1675, and most of the current building dates from 1804. Meeting for Worship is held every Sunday at 10.30am. That usually finishes around 11:30am and is followed by any Afterwords and Notices. We then have an informal coffee/tea drinking session in the small meeting room. Once a month – usually the last Sunday in the month – we continue with a discussion followed by shared lunch. While we hold no regular children’s meeting at the moment, children are always very welcome. For those too young to join the main meeting, we can usually lay on an impromptu meeting for them in our small meeting room. Please ring either Ann Addison (01981 540515) or Jane Turnbull (01989 780350) if you would like to discuss any aspect of this in advance. Our monthly newsletters are available to download here. For more information about any aspect of Ross Meeting, please call our Clerk, Julia Richardson, on 01989 763746 or use the form below. We have both our main meeting room, and small meeting room available for hire. The large room will seat up to about 60 people, and the seats are all movable if you need that flexibility. The small room seats up to about 15 people. Either room can be hired by the session, with morning, afternoon and evening sessions available for most days in the week. Current rates (as at January 2018) are £15 per session for the main room and £7.50 per session for the small room. There is a kitchen with oven, fridge, microwave and washing up facilities and use of this is included with the hire of either room. Crockery and cutlery are also available. 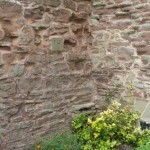 It is accessible from either the large or small rooms separately. 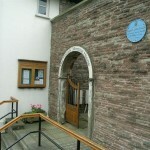 Disabled access using a wheelchair is fairly straightforward, with a permanent ramp from the street to the path up to the Meeting House front door. We have a portable ramp to climb the front step. Internally there is a disabled loo. Please contact our Caroline Bennett on 01989763509 (landline) or 07833901281 (mobile) or use the form below for more information. 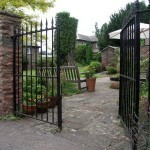 If you have any questions regarding Ross-on-Wye Local Meeting please complete the form below.